Barbara Fleming is an international award winning wildlife photographer who has traveled extensively throughout Africa including Botswana, South Africa, Tanzania, Zambia, and Zimbabwe for over ten years. 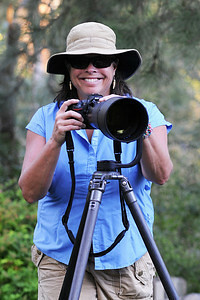 Her work in North and Central America is also well known. She uses her undergraduate studies in anthropology and psychology to assist her when understanding the complex behaviors of animals and anticipating how to be in the right place to capture optimal photographic images. Siena International Photo Contest (Italy), Oasis Photocontest (Italy), Festival de l’Oiseau (France), International Foto Awards, (Russia) and Natures Best Africa (South Africa). Many of the awarded images have been part of gallery exhibits ranging from the USA to Italy, France, Russia and South Africa . Her images have been published in a number of magazine covers, photography magazine articles, online publications, books and textbooks, calendars and cards.